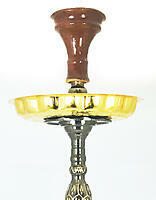 The Khalil Mamoon Sax is a handmade Egyptian luxury edition KM Hookah. A single hose model with intricate designs on the heavier stem that give an artistic feel to a very durable Khalil Mamoon Hookah. 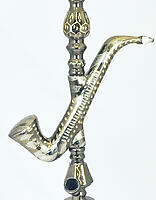 A decorative piece when not smoking. 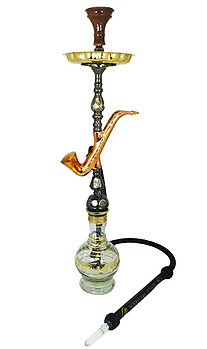 Built for a traditional hookah smoke using a jumbo glass vase.